Now in its 21st Year, the EY Entrepreneur Of The Year (EOY ) 2018 programme has officially opened for nominations from Galway. The theme of this year’s programme is “Ambition” and all sectors and businesses of all sizes are invited to submit their nominations until 16 February. The 24 finalists for 2018 will be announced on 23 April. 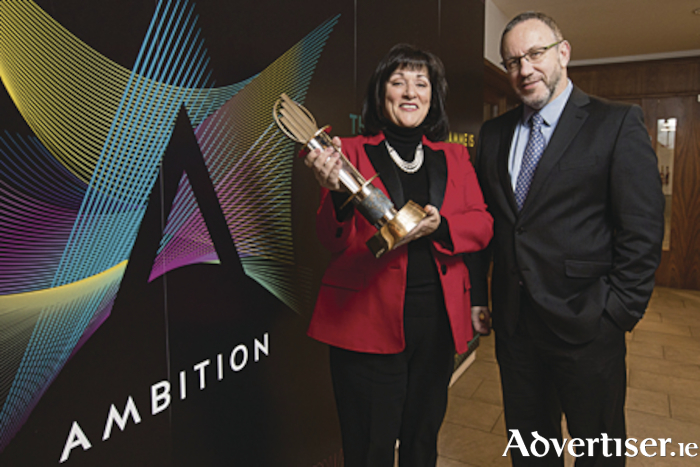 Galway’s entrepreneurs are encouraged to put themselves forward to follow in the footsteps of well-known Galway business chiefs, Jim Burke, GoBus.ie; Dáithí O’Connor, Revive Active who were both finalists in 2017 and Evelyn O’Toole who was the eventual winner in the Industry category in last year’s programme. The successful finalists will have the opportunity to connect, learn and do business with the EY Entrepreneur Of The Year alumni network, which consists of almost 500 of Ireland’s most successful business people. The finalists will get an opportunity to participate in the renowned international CEO Retreat which is designed to help Irish entrepreneurs transform their thinking and vision through executive education. They will also gain significant profiling, nationally and internationally. Operating in more than 60 countries worldwide, EOY is recognised as the most prestigious business accolade for entrepreneurs. The programme is open to entrepreneurs across all sectors on the island of Ireland. The awards programme is divided into three categories - Emerging, Industry and International - with 8 finalists chosen per category. The 24 finalists will be selected by an independent panel of judges, comprised of former EOY winners and chaired by Anne Heraty of CPL Resources plc. Individuals who wish to put themselves forward or nominate an entrepreneur with their consent, can fill out the online nomination form at www.eoy.ie or call the EY Entrepreneur Of The Year™ team for further information at [email protected]. The deadline for nominations is Friday, 16 February 2018.